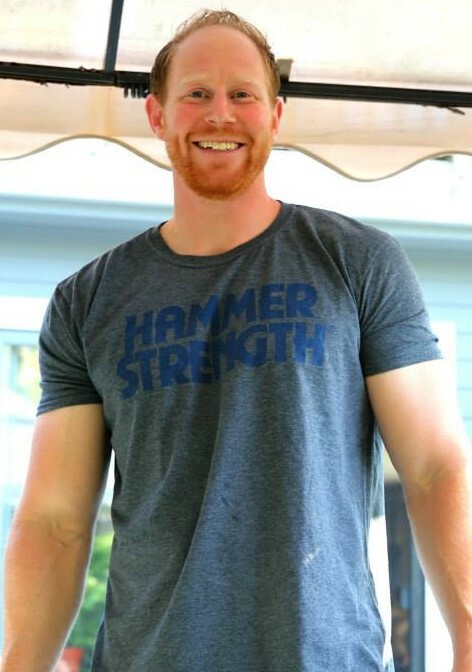 Adam is a Certified Personal Trainer and Strength and Conditioning Specialist. He holds a Masters Degree in Exercise Science and Health Promotion from California University of Pennsylvania﻿ and a Bachelors Degree from Muhlenberg College, where he obtained All-Conference Honors in Wrestling. Adam coaches wrestling and track at Conestoga High School﻿ and is an avid bodybuilder, having placed in over 6 local and national "All-Natural" bodybuilding shows. As a Professional Fitness Expert, Adam is a strong believer that the benefits of health and fitness extends far past the physical body. His additional certifications include NESTA Certified Fitness Nutrition Coach, Certified Post-Rehabilitation Trainer, TRX Level 1 Instructor, WaterCoach Professional Level 1 Instructor, NASM Performance Enhancement Specialist, NASE Certified Speed Specialist, Level 1 kettlebell instructor﻿, and is a NHSCA Certified Coach.